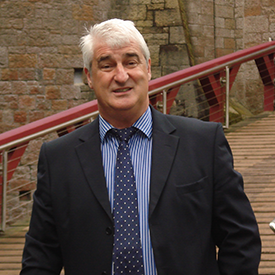 The practice is headed by Keith Batten, a Chartered Surveyor with over 30 years post-qualification experience - an expert in home surveys and asset management work across Bridgend. Bridgend lies on the River Ogmore. Ogmore Castle was built in the early 12th century, and together with Newcastle Castle and Coity Castle, it formed a defensive triangle in Norman times. In more modern times, during WW2, a POW camp was set up at Bridgend, called Island Farm, and a huge munitions factory was operating at Waterton.